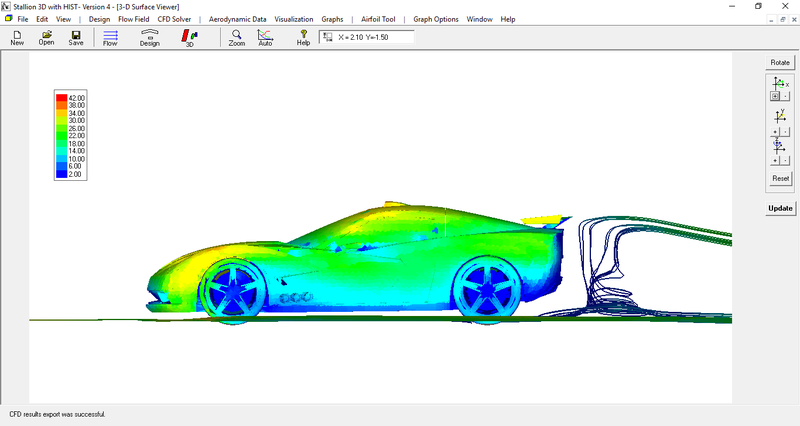 Stallion 3D is a 3D aerodynamics analysis software package developed by Dr. Patrick Hanley of Hanley Innovations in Ocala, FL. 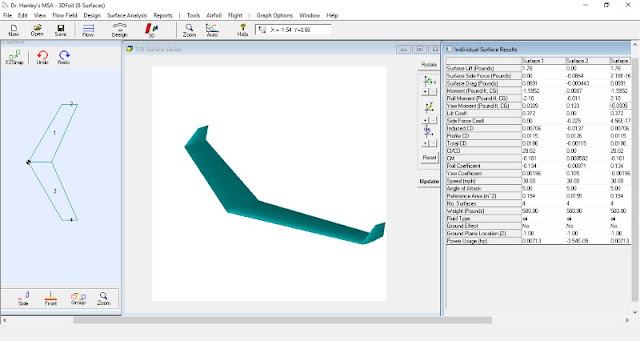 Starting with only the STL file, Stallion 3D is an all-in-one digital tool that rapidly validate conceptual and preliminary aerodynamic designs of aircraft, UAVs, hydrofoil and road vehicles. Built-in 3D compressible Euler Solver for fast aerodynamics analysis. 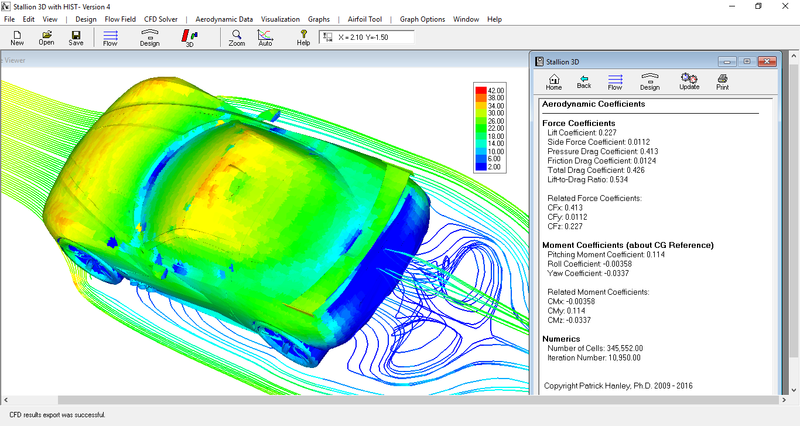 The introductory price of Stallion 3D 5.0 is $3,495 for the yearly subscription or $8,000. The software is also available in Lab and Class Packages. For more information, please visit http://www.hanleyinnovations.com/stallion3d.html or call us at (352) 261-3376. 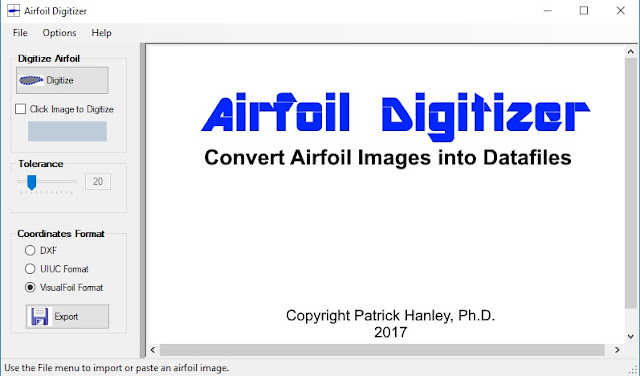 Airfoil Digitizer is a software package for extracting airfoil data files from images. The software accepts images in the jpg, gif, bmp, png and tiff formats. 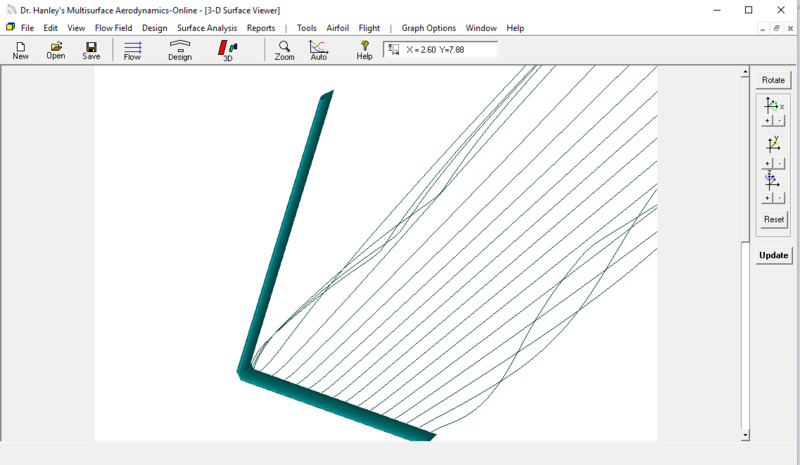 Airfoil data can be exported as AutoCAD DXF files (line entities), UIUC airfoil database format and Hanley Innovations VisualFoil Format. The following tutorial show how to use Airfoil Digitizer to obtain hard to find airfoil ordinates from pictures. The only way to know if your idea will work is to test it. 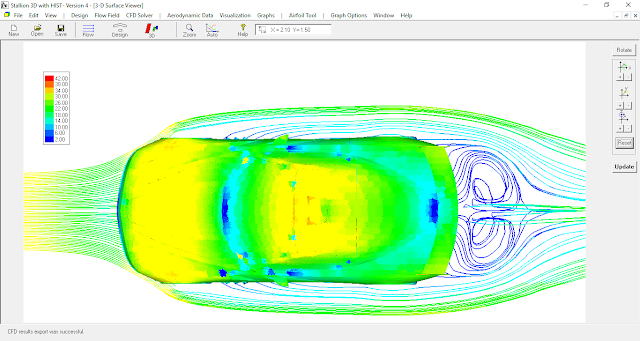 Rest assured, as a design engineer your idea and designs will be tested over and over again often in front of a crowd of people. 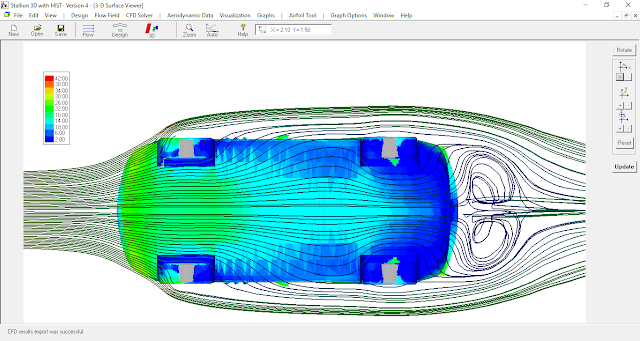 As an aerodynamics design engineer, Stallion 3D helps you to avoid the testing pitfalls that would otherwise keep you awake at night. An advantage of Stallion 3D is it enables you to test your designs on the privacy of your laptop or desktop before your company actually builds a prototype. As someone who uses Stallion 3D for consulting, I find it very exciting to see my designs flying the way they were simulated in the software. 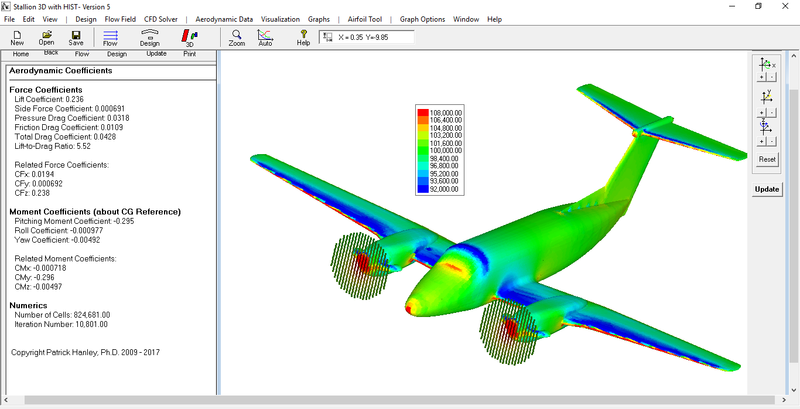 Stallion 3D will assure that your creations are airworthy before they are tested in front of a crowd. I developed Stallion 3D for engineers who have an innate love and aptitude for aerodynamics but who do not want to deal with the hassles of standard CFD programs. Innovative technologies should always take a few steps out of an existing process to make the journey more efficient. Stallion 3D enables you to skip the painful step of grid (mesh) generation. 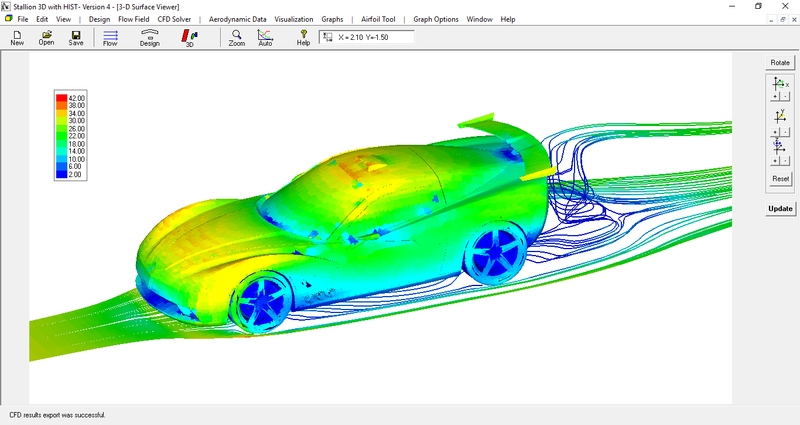 This reduces your workflow to just a few seconds to setup and run a 3D aerodynamics case. Stallion 3D helps you to avoid the common testing pitfalls. 5. 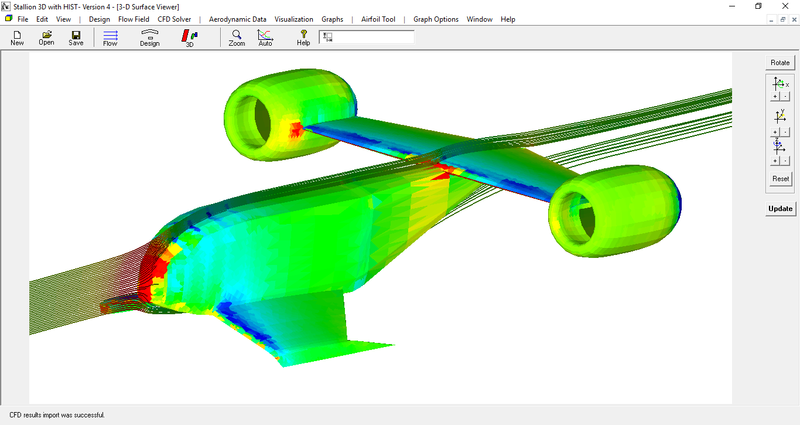 Not enough propulsive force (thrust) due to excess drag and weight. Are the results of Stallion 3D accurate? Please visit the following page to see the latest validations.